Introduced in 2015, the HEWN Textile Collection was created to offer designers a wide-range of deep, rich and saturated colors in solid textures. These textiles offer the perfect ground for any design scheme…from casual to lux and from traditional to contemporary. 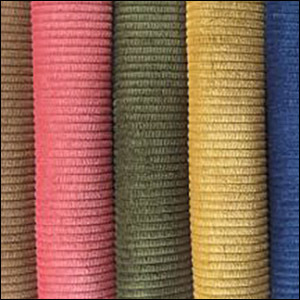 Come discover luscious silk velvets, durable cotton and linen velvets, and deep, soft mohair…even a wide-wale corduroy. All patterns are offered in an array of easy-to-coordinate colors and are in-stock in the United States and ship in a matter of days.